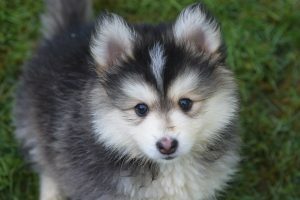 Home to the World’s Finest Pomskies! 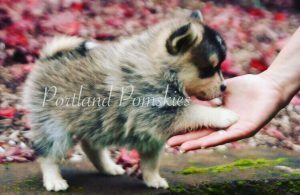 Portland Pomskies is home to the world’s finest Siberian Huskies, Pomeranians, and Pomskies. 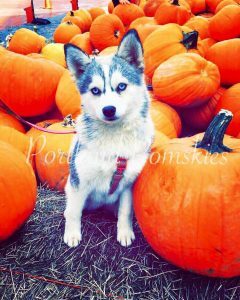 We spend a fortune to buy the highest quality dogs to produce the highest quality pomskies in the world. 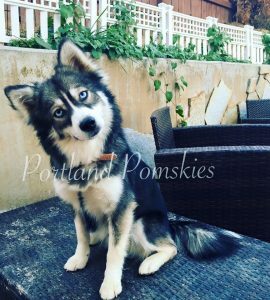 Portland Pomskies is set in the beautiful country side of Portland, Oregon on 8 acres that the dogs get to enjoy. 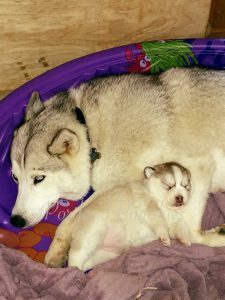 They live a very peaceful and relaxed life. 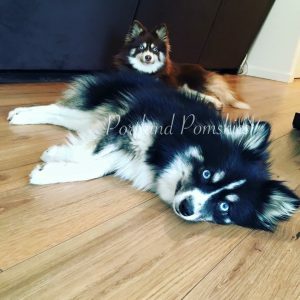 Portland Pomskies is a proud member of the International Pomsky Association. 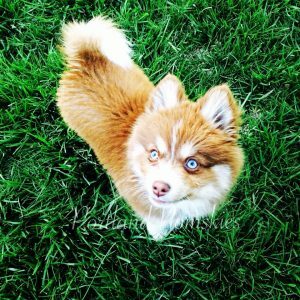 This prestigious group is home to the top Pomsky breeders in the United States. 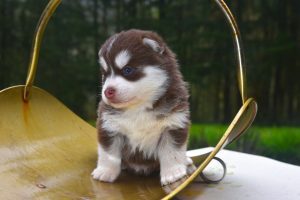 The group is held to a high code of ethics and only approved breeders can be members of the group. 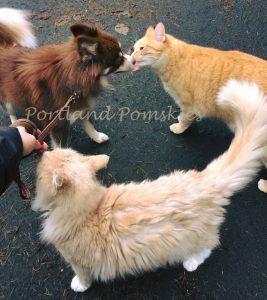 Portland Pomskies was founded in Spring of 2015. 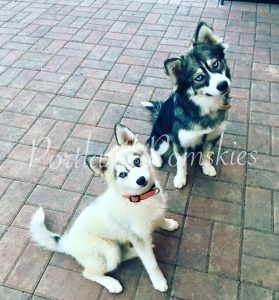 Our mission has been to find the most beautiful dogs to create the cutest pomskies around! 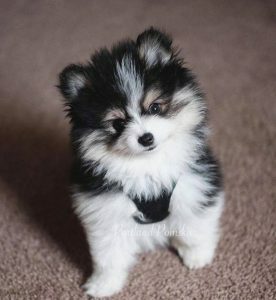 Since we have pomskies, huskies, and pomeranians we breed pomsky puppies with different percentage of husky and pomeranian. 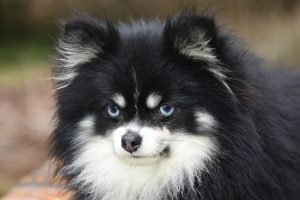 The most common is 50/50 (50% husky, 50% pomeranian) and 25/75 (25% husky and 75% pomeranian). 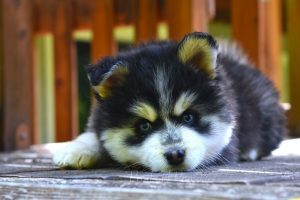 The sizes can vary depending on the ratio of husky to pomeranian as well as the different parent pairings. 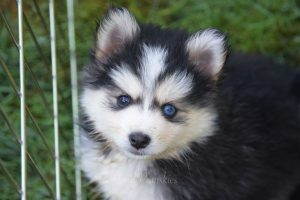 Now you are asking yourself, how can I buy a Portland Pomsky puppy? It is simple! 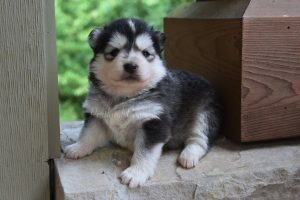 We do not hold a wait list so no matter when you find us, you can apply for a puppy in an upcoming litter! 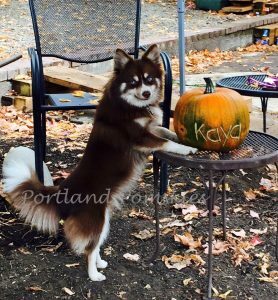 We announce the application date within 24 hours of the puppies being born on the Portland Pomsky Facebook page. 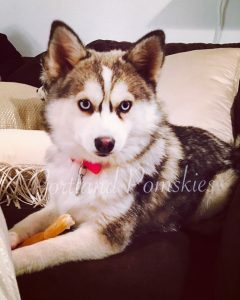 It is very important you stay tuned and follow updates on the Facebook page! 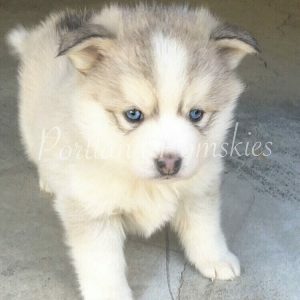 You can choose which puppy (or puppies) you would like to apply for. 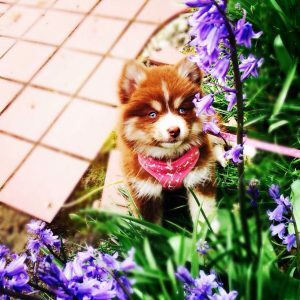 The more choices you include on your application, the higher your chances are of being selected! 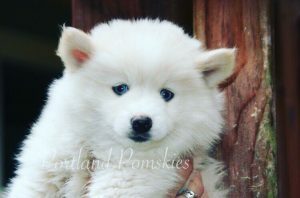 Once chosen, you must put 50% of the puppies total cost down. 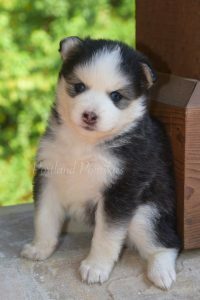 We do not accept payment plans so if you are unable to pay for the puppy in full please wait to apply. 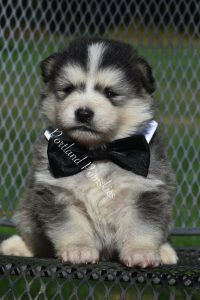 We do accept Paypal with a 3% fee added on which will accept most major credit cards! 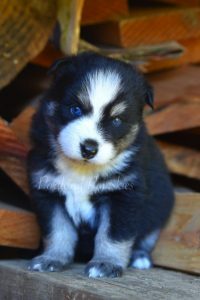 Once the puppies reach 6 weeks of age, the remaining 50% must be paid. 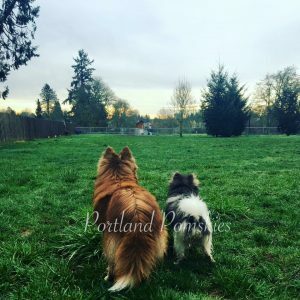 Portland Pomskies does not offer cargo shipping. 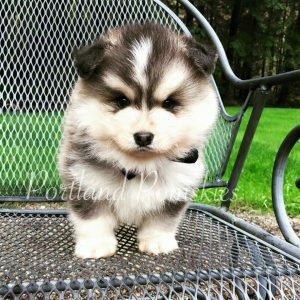 The stress and anxiety of cargo is unsafe for the puppy’s well being. 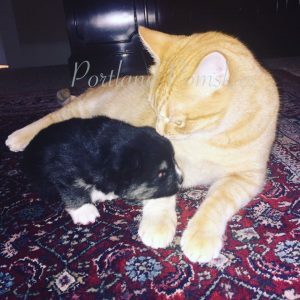 You can choose to come to Portland to pick up your puppy, or we offer hand delivery based on cost of flight, health certificate, travel carrier, and pet flight fee. Please see our contracts page for the sale contracts.